Lead paint is a dangerous and easily overlooked problem that could be present in your Annapolis home. Unfortunately, unlike problems such as mold and structural issues, lead paint is not readily apparent. Fortunately, though, there are steps you can take in order to determine whether your home contains lead paint. To learn how to find out if your home contains lead paint, just read on. In this article, we’ll tell you some simple ways you can check for lead paint in your home. With this knowledge, you’ll be able to make sure your home is as safe as can be for you and your loved ones. One of the easiest ways to determine whether your home is at a risk of containing lead-based paint is to find out when it was constructed. 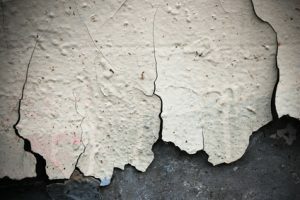 Many homes built before 1970 used lead paint, and if that paint is still present, those old homes can pose some serious risks to your health. If you’re not sure exactly when your home was constructed, that’s no problem. There are a number of ways you can determine this: checking documentation regarding your home, inquiring with a previous owner, or checking with the current owner (if you rent). If these means reveal that your home is old enough to possibly contain lead paint, you need to look into removing it. Maybe you don’t have the energy to go through the whole rigmarole just to find out if your home was old enough to maybe contain lead paint. Maybe you’d like to just get right to the answer you’re looking for. The good news is you can get the results you’re looking for without all the other steps, and to do that, simply get a lead paint test kit. You can get a lead paint test kit at a local store or online, and the cost is relatively low. The results are instant, so with this option, you won’t have to wait to get the answer you’re looking for. Keep in mind, though, lead paint test kits aren’t always accurate, though they are often enough to be a solid option. Still, as good an option as a personal lead paint test kit might be, you may find yourself turned off that option since it may not be entirely accurate. After all, an inaccurate reading could cause you to spend unnecessary money to have non-lead paint removed or, worse, remain exposed to lead paint that you believe isn’t present. If you want to get the most accurate lead paint test, you need to leave it to a professional. A professional lead paint test will yield quick and accurate results. So, with this service, your Annapolis painting company will be able to help you make the best and most-informed choice about your home’s paint job. So, you’ve done the tests — and the results are, unfortunately, positive. Fortunately, the next step is even simpler: Call Annapolis Painting Services. Our Annapolis painting professionals offer lead paint removal to free your home of this harmful substance. If you are interested in more painting tips from professional painters, please call Annapolis Painting Services at 410-974-6768 or complete our online request form.